Mikayo Taguchi loves splurging on her grandkids and children, whether for clothes or sporting goods or family outings. In Japan, that generosity matters — boosting demand by tens of billions of dollars each year. “Those who are grandmothers and grandfathers often say that you can’t look after your grandchildren unless you have money,” said Taguchi, 60, a resident of Miyazaki Prefecture. The savings-rich elderly spend about ¥9.7 trillion ($87 billion) a year on their offspring, including adult children who have struggled with lower wages during two decades of sputtering economic growth, according to Hiromichi Shirakawa, chief Japan economist at Credit Suisse Group. He estimated such spending last year accounted for about a third of the modest growth in total consumption. That wasn’t how it was supposed to be in the fifth year of Prime Minister Shinzo Abe’s economic revival plan for sustainable growth fueled by strong wage gains. While Japan did enjoy its longest period of economic expansion in about three decades through the end of 2017, pay and consumption are rising only modestly, frustrating the Bank of Japan’s efforts to stoke 2 percent inflation. 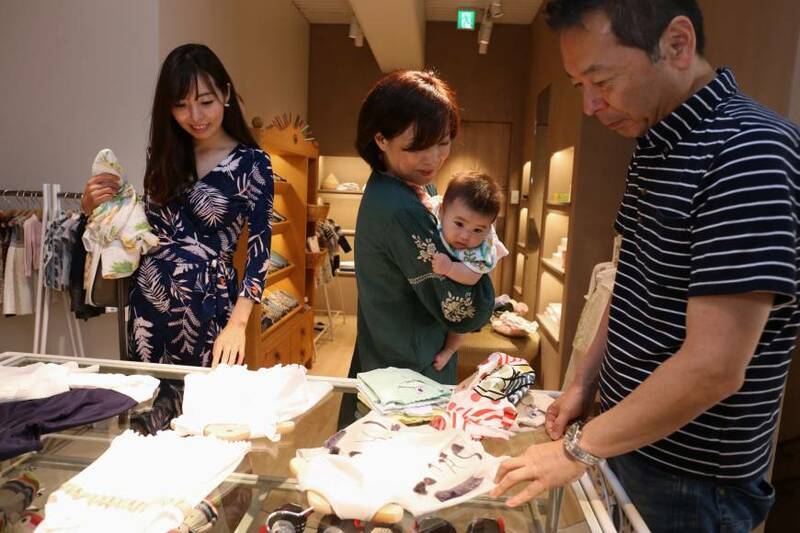 Since the second half of 2016, when consumption began recovering, growth in spending was strongest among elderly households with a lot of savings — at least ¥30 million, Shirakawa and other Credit Suisse economists noted in a recent report. And that spending appears linked to rising stock prices, which hit the highest level in a quarter century, they said. Those findings are in line with a report from the International Monetary Fund last year that said assets are becoming increasingly important in financing consumption in Japan. 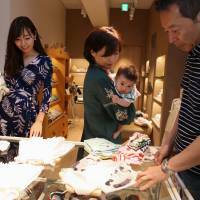 As in the U.S. and Europe, in Japan assets are mostly in the hands of baby boomers. They jumped on salary and pension tracks during the nation’s boom years. Their children and the other generations that followed entered the workforce in the post-bubble era, burdened by falling wages and the spread of temporary employment. That has taken a lasting financial toll. By 2016, the average real wage for employees in their early 40s had fallen 13 percent compared with those who were the same age a decade earlier, according to Yuji Genda, a labor economist and professor at the University of Tokyo’s Institute of Social Science. So the elderly are helping out. About a fifth say they cover at least some of the living expenses of a child or grandchild over age 18, excluding students, a 2016 Cabinet Office survey on “attitudes of the elderly” found. That percentage rose to nearly a third for those with monthly income of ¥400,000 to ¥600,000. “Say there’s a child that can’t really work, or even if it’s not their entire living expenses, they might only have short-term work or part-time work — parents do support them,” Taguchi said. She said she and her husband support one son who is unable to work and slip a little cash now and then to the other to help him get by. Both sons are in their 30s. The elderly’s support for their kids and grandkids will likely take on even greater economic importance in the years ahead, possibly growing by about 10 percent a year, given the savings levels of elderly Japanese and a fading desire to leave behind an inheritance, Shirakawa said. Yet much will depend on Japan’s fiscal health and how the debt-burdened government decides to generate the revenue needed to pay for social security programs as the country continues to age, said Manabu Shimasawa, an economist at the Chubu Region Institute for Social and Economic Research. “If the elderly continue to decide to spend as they are doing now, of course it’ll have a positive impact on consumption, but if they start having more concerns about the future and start reducing the amount of money they spend on the children and grandkids, money will stop moving,” Shimasawa said.